This week, the Supreme Court was due to hear the appeal in R (on the application of Greater Manchester Police) v Salford Magistrates Court and another but this now been withdrawn in the light of the enactment of the Police (Detention and Bail) Act 2011 (see here and here for further information on the case). The Court will now hear one appeal this week – in the case of Rainy Sky S.A. and others v Kookmin Bank. This will be heard by Lords Phillips, Mance, Kerr, Clarke and Wilson on Wednesday 27 July 2011. In this case, the Court will decide the proper role and application of considerations of business common sense when interpreting commercial contracts, particularly whether such considerations form part of a single interpretative process or whether they are only to be applied as a second stage of analysis after a textual analysis of the contract has been conducted and only thereafter to exclude an absurd or irrational construction or to facilitate a choice between otherwise equally balanced textual constructions. The Court will also decide the weight which the Court of Appeal should attach to the judgment of a Commercial Court Judge on a question of the construction of a commercial contract provision, and particularly his assessment of the business common sense of the transaction. Here are the Supreme Court case details. On Thursday 28 July 2011, Lord Phillips, Lady Hale and Lord Brown will hear an application for permission to appeal in the case Ministry of Defence v AB and others. This case concerns a group of 1,011 claimants who seek to bring a claim for the damage caused to their health as a result of ionising radiation exposure from the nuclear tests that the British Government carried out in Australia and on Christmas Island between 1952 and 1958. The issue is whether the Court of Appeal applied both the wrong legal test for knowledge in section 14 Limitation Act 1980 and the wrong legal approach to the exercise of discretion under section 33 of the same Act. The case details are here. On Wednesday 27 July 2011, the Supreme Court is to hand down judgments in four cases: Belmont Park Investments PTY Limited v BNY Corporate Trustee Services Limited and Lehman Brothers Special Financing Inc; Lucasfilm Limited and others v Ainsworth and another; Jivraj v Hashwani and Autoclenz Limited v Belcher and others. There are no cases to be heard or judgments to be handed down in the Privy Council this week. Kernott v Jones, heard 4 May 2011. Gale and another v Serious Organised Crime Agency, heard 23 – 24 May 2011. R (on the application of Quila and another) (FC) v Secretary of State for the Home Department and R (on the application of Bibi and another) (FC) v Secretary of State for the Home Department, heard 8 – 9 June 2011. AXA General Insurance Limited and others v The Lord Advocate and others (Scotland), heard 13 -15 June 2011. Houldsworth and another v Bridge Trustees Limited and another and Secretary of State for Work and Pensions, heard 20 – 21 June 2011. Her Majesty’s Advocate v Ambrose, Her Majesty’s Advocate v Gorman, Her Majesty’s Advocate v McDowall and Her Majesty’s Advocate v Paterson, heard 28 – 30 June 2011. 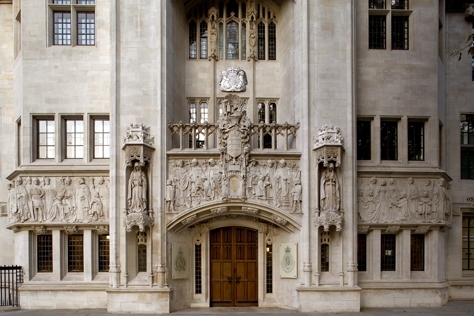 R (on the application of Davies and another) v The Commissioners for Her Majesty’s Revenue and Customs and R (on the application of Gaines-Cooper) v The Commissioners for Her Majesty’s Revenue and Customs, heard 6 – 7 July 2011. R v Gnango, heard 11 – 12 July 2011. In the matter of Kaupthing Singer and Friedlander Limited (in administration) and In the matter of the Insolvency Act 1986, heard 13 – 14 July 2011. Human Genome Sciences Inc v Eli Lilly and Company, heard 18 – 20 July 2011. Rhett Allen Fuller v The Attorney General of Belize, heard 11 – 12 April 2011. Omar Grieves and Others v The Queen, heard 4 May 2011. Winston Gibson v Public Service Commission; Ranjan Rampersad v Commissioner of Police and Police Service Commission; Robert Ramsahai v Teaching Service Commission; Ashford Sankar & Others v Public Service Commission; Gopichand Ganga and Others v Commissioner of Police and Others; and Hermia Tyson-Cuffie v Public Service Commission (Trinidad and Tobago), heard 17 – 19 May 2011. Consolidated Contractors International Company SAL v Munib Masri, heard 26 May 2011. The Legal Representative of Succession Paul de Maroussem v The Director-General, Mauritius Revenue Authority, heard 8 June 2011. Phillip Tillet v The Queen (Belize), heard 9 June 2011. Antonio Webster v The Attorney General of Trinidad & Tobago, heard 14 June 2011. Electra Daniel Administrator ad litem for the estate of George Daniel (deceased) v The Attorney General of Trinidad and Tobago, heard 21 June 2011. Adamas Limited v Mrs Yong Ting Ping How Fok Cheung, heard 28 June 2011. The Belize Bank Limited v The Association of Concerned Belizeans and others, heard 29 June 2011. The Belize Bank Limited v The Attorney General of Belize and others, heard 6 July 2011. The Attorney General v Universal Projects Limited and The Attorney General v Keron Matthews, heard 7 July 2011. Ernest Lockhart v The Queen, heard 18 July 2011. Total Mauritius Limited v Mauritius Revenue Authority, heard 19 July 2011. Sharon Investments Limited v Mauritius Revenue Authority, heard 21 July 2011. Leave a reply on "In the Supreme Court w/c 25 July 2011"